Based on reviews of establishments, BLYDE CHALETS has been voted Best Value for Money in Graskop for 2015. 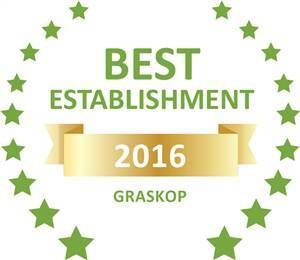 Based on reviews of establishments, BLYDE CHALETS has been voted Best Establishment in Graskop for 2016. 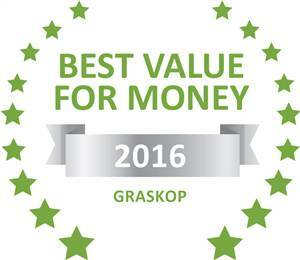 Based on reviews of establishments, BLYDE CHALETS has been voted Best Value for Money in Graskop for 2016. Please also visit our sister site http://www.mogodilodge.co.za !!! 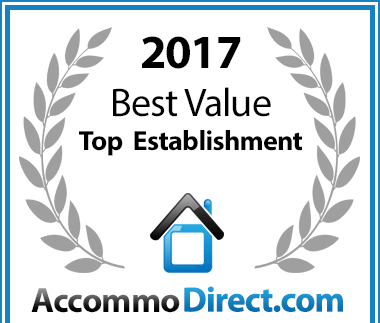 Same owners...same great service and hospitality! Located in central Graskop, Blyde Chalets offers one an ideal location from which to explore the tranquil town of Graskop, and is also the perfect base station from which to explore the scenic wonders of the Drakensberg Escarpment region. Blyde Chalets offers affordable accommodation in Graskop and is central to all the restaurants and shopping venues in town. A restaurant on site offers lunch and dinners. Small Chalet: These have a main bedroom with a double bed and a sleeper couch in the lounge area, bathroom with a shower and TV. The unit has got fully equipped kitchenette and its own veranda with braai facility. Big Chalet: These units have 2 bedrooms, one with a double bed, and the other with 2 single beds. There is a bathroom with a bath, lounge area with TV and a fully equipped kitchen. Each chalet has its own veranda with braai (BBQ) facility. Linen and towels are supplied for each unit. The chalets are also fully serviced on a daily basis, allowing one to relax, and not worry about dishes etc. Graskop offers the visitor accommodation within 50 km of the Kruger National Park. Attractions in the nearby vicinity include God's Window viewpoint, Bourke’s Luck Potholes, the Blyde River Canyon and many well known waterfalls. Nearby activities include horse riding, 4 golf courses, abseiling, hiking, mountain biking, bird watching, fishing and helicopter flights, this gives one a large variety of activities to keep one busy when not doing sightseeing. On the premises you will also find a well stocked curio and gift shop, with maps, postcards, African masks, statues and many more items to choose from. So if it is a holiday to remember that you are looking for, at the most affordable rates then look no further!